Your home’s entry door is the first thing guests see when they enter your home, so spending the time and effort to make a great first impression is important. A traditional entry door made of wood will make a big impact, and Murphy Home Improvement is your go-to choice for installing the wood door of your dreams. They’ve been helping Cincinnati homeowners create their dream homes for over 30 years, so they know a thing or two about getting the job done right. Engineered Cores: Modern wood doors are a big improvement over the doors of the past. These days, doors are made with a core of engineered wood that resists warping and improves the insulating value of your door. The part of the door that you see is a decorative veneer, but a well-crafted door looks just a solid as an old-fashioned one. Custom Profiles: Nothing beats wood when you want a custom door. Unlike metal or fiberglass, wood allows the carpenter to change the profile of the molding, carve decorative designs, or otherwise modify the look of the door to blend seamlessly with your home. You have many more options with a wood door. Color Options: Wood is also versatile in the type of finish it will accept. You can stain a door to mimic any type of wood you like, or you can paint it any shade under the sun. There are also plenty of factory-standard color options, so you’re sure to get what you want at a price you can afford. 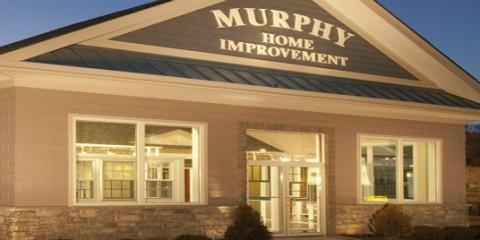 When you’re ready to replace your entry door with a new wooden masterpiece, call Murphy Home Improvement in Cincinnati, OH, at (513) 922-8989. They’ll help you select the right door and install it perfectly. You can also check out their website for more information.